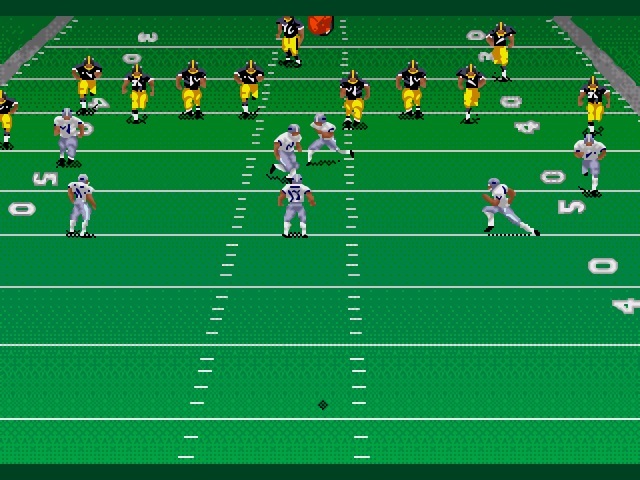 Краткое описание: Welcome to Madden NFL 97, the game that captures the excitement of a 30 yard touchdown pass, the strategy of a well executed scoring drive, and the atmosphere of a crisp autumn afternoon in the stadium. Madden NFL 97 delivers state of the art graphics and sound -- and with modem and network support, it's ready to put your competitive skills to the test. 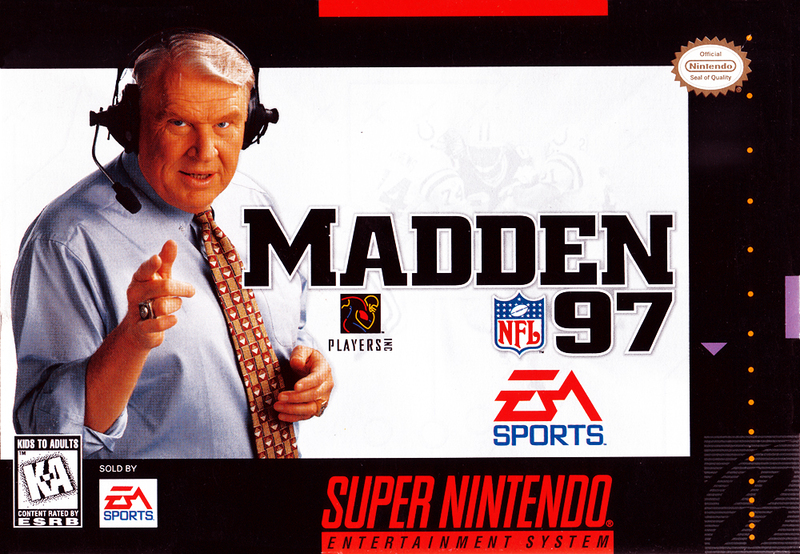 Welcome to Madden NFL 97, the game that captures the excitement of a 30 yard touchdown pass, the strategy of a well executed scoring drive, and the atmosphere of a crisp autumn afternoon in the stadium. 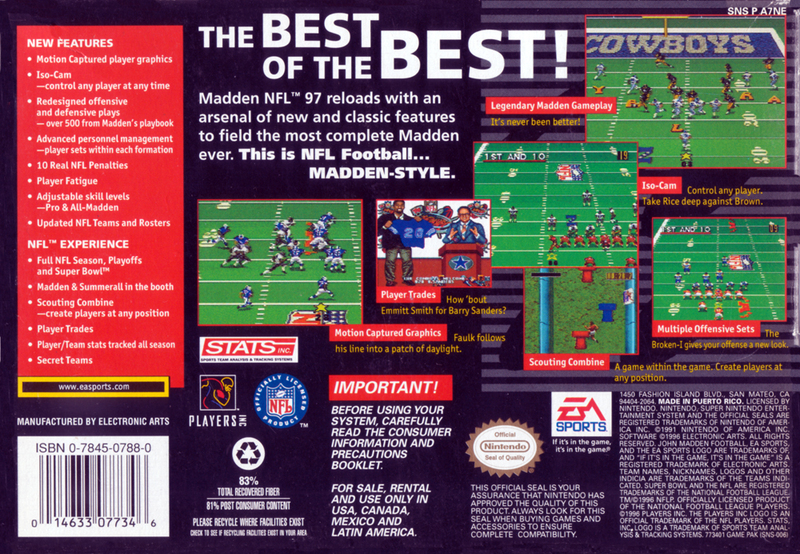 Madden NFL 97 delivers state of the art graphics and sound -- and with modem and network support, it's ready to put your competitive skills to the test.